Showing 10 articles from April 12, 2016. Castle Rock came in on Thursday knowing they had a tough game ahead of them. Rainier, the #1 3A team in Oregon, has been to the state title game the last three season. The Columbians won in 2013, 2014, and were the runner-ups last season. The Rockets are a young team, featuring five freshmen, and were 2-3 coming into this. In what Mayor Dobosh called "maybe the shortest meeting ever," the Toledo City Council was short and right to the point. The meeting was called to order at 6:00 PM on April 4th, and went straight to the public report section. Many folks in the local area may not realize that we have a well-known and extremely knowledgeable self-defense and martial arts instructor right here in our back yard, or that he's been offering classes for the last 10 years in Winlock. 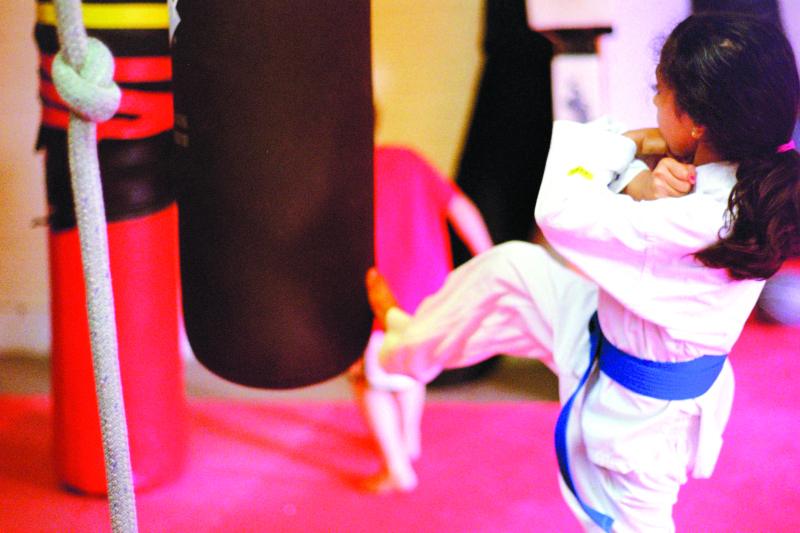 He offers programs that cover Tae Kwon Do, Kick-Boxing, Wrestling, MMA (Mixed Martial Arts), Muay Thai (a form of kick boxing from Thailand), and Women's Self Defense. Ages of instruction start at 3 years old but include adults of all ages. In impressive numbers, citizens of Winlock came together at the Winlock Community Building on April 7th to address the problem of high-speed internet around the area. While citizens for the most part inside of the city limits have high speed internet through CenturyLink, many outside the city limits and in the surrounding areas are cut off from this due to bandwidth limits. The meeting was much anticipated and it was shown in the enthusiasm of the crowd who eagerly wanted to speak to the representatives of ToledoTel and CenturyLink. The Pacific County PUD met for their regular meeting on Tuesday, April 5. The first item that the PUD Commissioners dealt with was the awarding of service pins. "In recognition to the value to the PUD for their continuous years of service. Today we have five employees from the Willapa Operations Center receiving pins for 5 years all the way up to 45 years of service with the PUD of Pacific County. General Manager went on to detail their careers up until now, and congratulated the employees. For the next item Doug Miller detailed the correspondence that the Pacific County PUD has received since the last meeting. It was time in the meeting for contracts for service extensions, the commissioners approved six contracts for service extension. April 20 marks the first anniversary for the Grower's Outlet marijuana retail shop in South Bend. The shop will be having a 1st Anniversary event, with a 20% off sale that is store-wide. The Dawgg House of South Bend will be at the event, serving free hot dogs. The South Bend City Council met on Monday, April 11 for the regular council meeting. Mayor Julie Struck called the meeting to order and lead the pledge of allegiance. Struck began the meeting by approving the minutes of the previous meeting as well as the agenda for the current meeting. At 5:32pm, Struck opened a public hearing on their 2016-2011 Comprehensive Park Plan. "There have been just a few revisions, we added Pioneer Park and a few language changes but there's nothing really major that has changed in the plan. It was just an update," said Struck. At 5:33pm the public hearing was closed. On March 11th, sponsored by the Teen Advocacy Coalition and the Pacific County Health Department, Raymond and South Bend high school Peer Helpers were invited to participate in a training called Sources of Strength. Sources of Strength is an international, best practice program that focuses on preventing suicide as well as bullying and substance abuse. A strengths-based model, the program uses teams of peer leaders who are mentored by adult advisors who work toward changing social norms around seeking help and encourage their peers to individually identify and develop strengths in their lives. Get involved with a day of art, music, scenic beauty and exclusive access to private art studios not normally open to the public this Saturday from 10 a.m. to 4 p.m. Thirty-two local artists will present original art work including painting, drawing, ceramics, jewelry, sculpture, woodcarving, fiber arts, photography, and blown and stained glass at Tokeland, North Cove and Grayland businesses and art studios. 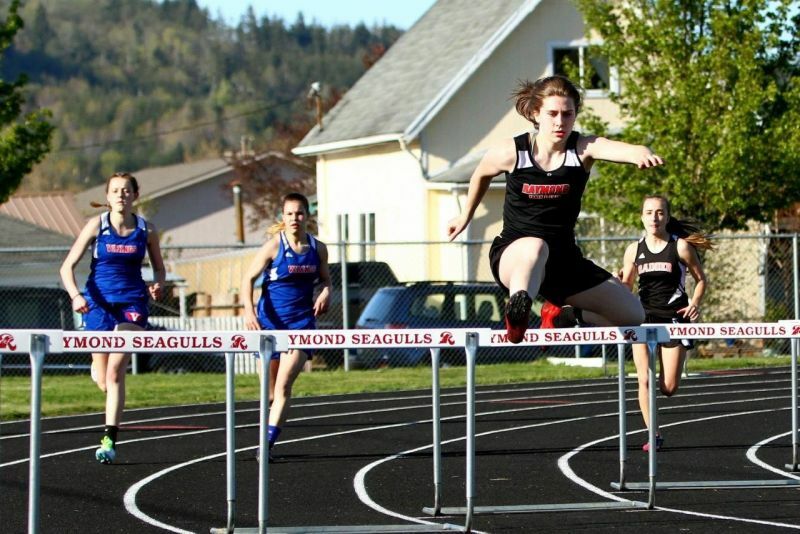 Photo by Larry Bale - Lady Seagull Karlee Freeman flies around the turn in the 300-meter low hurdles. Freeman won a total of four individual events at Thursday's Tri-Distric Meet. With temps in the 80's, Willapa Valley (63) defeated South Bend (49) and host Raymond (42) at the Henrie-Weisel Tri-District Meet last Thursday. Raymond's Karlee Freeman captured four events.